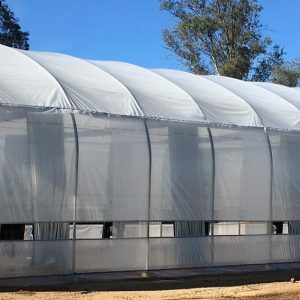 The Organic Growers Pro RoundTop greenhouse effectively combines innovative design with smart engineering to keep price down and quality up. The 10′ x 19′ 8″ x 8′ model offers an impressive 8′ of headroom, 4 steel support ribs, and incredible plant capacity. DuPont Premium powder-coated finish prevents chipping, peeling, rust, and corrosion. ShelterLock 3X stabilizers ensure a sturdy, durable structure. Easy Slide Cross Rail locks down and squares up frame for the ideal cover-to-frame fit. 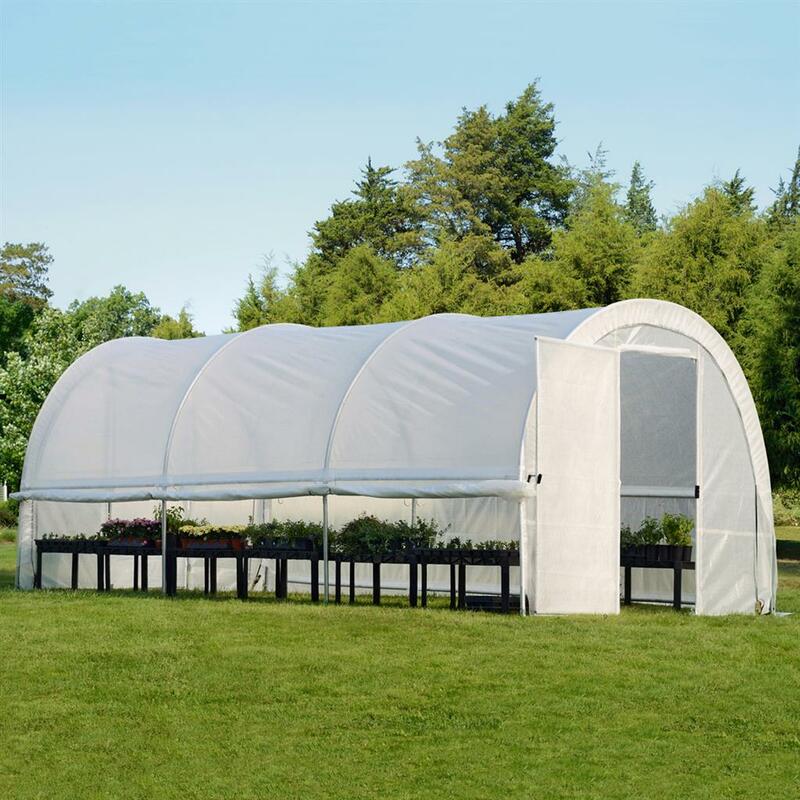 The high density polyethylene cover blocks harmful UVA and UVB rays, while the scrim fabric still allows light through to your plants. The easily fastened roll-up side panels have stabilizing hooks to help maximize cross-aeration throughout structure, and allow for a greater degree of airflow and temperature control.